Britain’s new car market enjoyed a bumper month in August, with industry data showing a 23 per cent rise in new car sales. However, despite the positive figures, demand for pure electric vehicles remains down. Data from the Society of Motor Manufacturers and Traders (SMMT) shows that 94,094 new cars were registered in August, but just 659 were pure electric. This means year-on-year registrations of new electric vehicles remains down on 2017, although plug-in hybrid models fared better with a jump of 167 per cent in registrations, which represents a real world increase of 2079 cars. Sue Robinson, director of the National Franchised Dealers Association (NFDA), which represents franchised car and commercial vehicle retailers in the UK, links the slow demand to supply problems. "Despite the monthly increase, sales of pure electric vehicles are still down year-to-date primarily due to technical, supply issues," said Robinson. "Positively, the number of models offered on the market has been expanding, but as this is a phase of transition, there are supply challenges. As consumer demand for EVs grows, we are confident that when these issues are sorted the market will see a more substantial uptake. On the other hand, it is encouraging to see that plug-in hybrid cars registrations continue to rise significantly”. Readers of HonestJohn.co.uk have been complaining of lengthy delivery delays for new cars as manufacturers certify their line-ups from the old NEDC test to the all-new WLTP standard. An industry insider told HonestJohn.co.uk that some carmakers actively limited production of new vehicles to avoid being stuck with NEDC-certified vehicles they could not sell after the September deadline. The SMMT figures also show a heavy fall for diesel in 2018, with demand down by 29 per cent compared to 2018. Indeed, there were 508,901 new diesels registered between January and August, which is significantly lower than the 713,455 that were sold during the same time in 2017. Petrol sales continued their upward trend in August with a boost of 39 per cent. As a result, year-on-year sales of petrol cars are up by 116,727. However, while the overall new car market remains down by four per cent, commentators are pointing towards September as the true acid test. 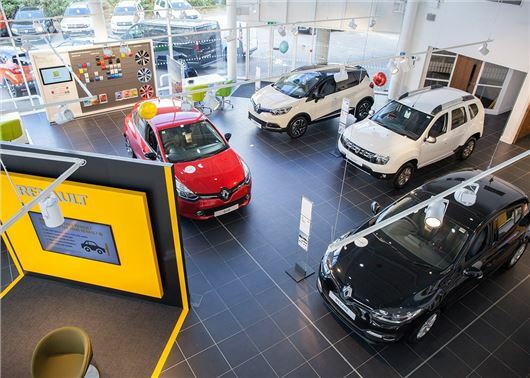 "Strong though it was, August’s sales performance is likely to be a warm up act for the main event - the new plates month in September," said James Fairclough of AA Cars. "The true test of the health of vehicle sales will come in the next few weeks, and all eyes will be on Britain’s forecourts to see whether September’s new plates month delivers the expected boost." How many of the August registrations were Pre-Reg cars by dealers to beat the new regs on Sept 1st.